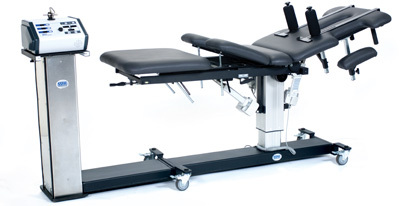 The ME4600 3 Section Therapeutic Table has movable head and leg sections supported by twin gas struts for solid support. The 2 Section Therapeutic Table is a popular model since the body & leg sections are made into a single piece that guarantees sturdy support at all times. 3 Section Therapeutic Table, no drop end—ME4400. The leg section is supported by a bracket frame for added strength and reliability.